Strange 'animal' figure - probably worthless but curious! Re: Strange 'animal' figure - probably worthless but curious! 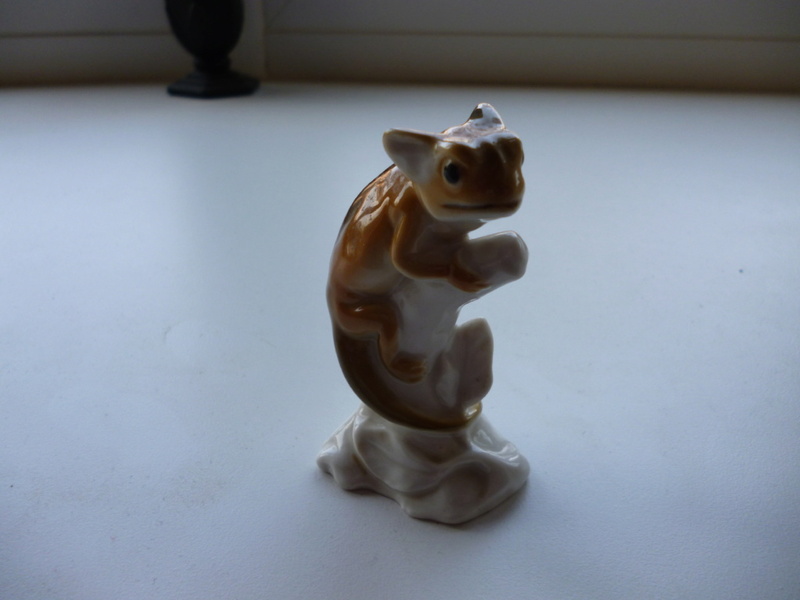 Speaking as a biologist rather than a pottery expert, it looks like a chameleon to me. But the earflaps are a bit odd! The face is properly reptilian, but the ears are mammalian. it isn't quite right for a loris or bush baby. 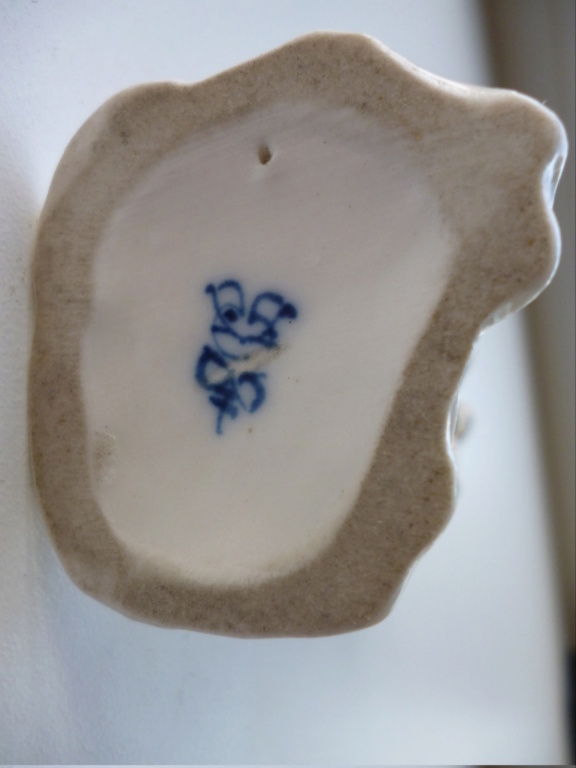 It might be a hand drawn Hummel & Goebel Porcelain mark. Looks like the quirky type of thing they’d have made pre-war. Or possibly a Russian piece.